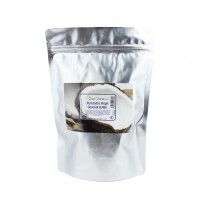 Pure cold pressed Coconut Oil (Cocos Nucifera) appears like soft butter at room temperature and is widely known for its distinctive odour and therapeutic properties. Our fractionated Coconut Oil has been further refined and unlike the pure Coconut Oil is unscented and liquid at room temperature. Refined Coconut Oil is the closest substance to human sub-cutaneous fat and more compatible with skin than vegetable oils. It naturally contains Lauric Acid, Vitamin A, Vitamin B1, Vitamin B2, Vitamin B6 and Vitamin E and it has a myriad of uses for skin, hair and body treatments. Coconut Oil has a virtually unlimited shelf life since it can't turn rancid and can't clog pores. 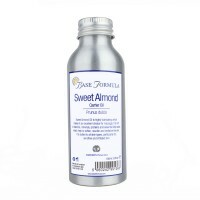 Compared to most carrier oils it has much more slippage on the skin when used as a massage oil (i.e. it is difficult to pick up the muscles as the therapist's hands slip quickly across the skin). 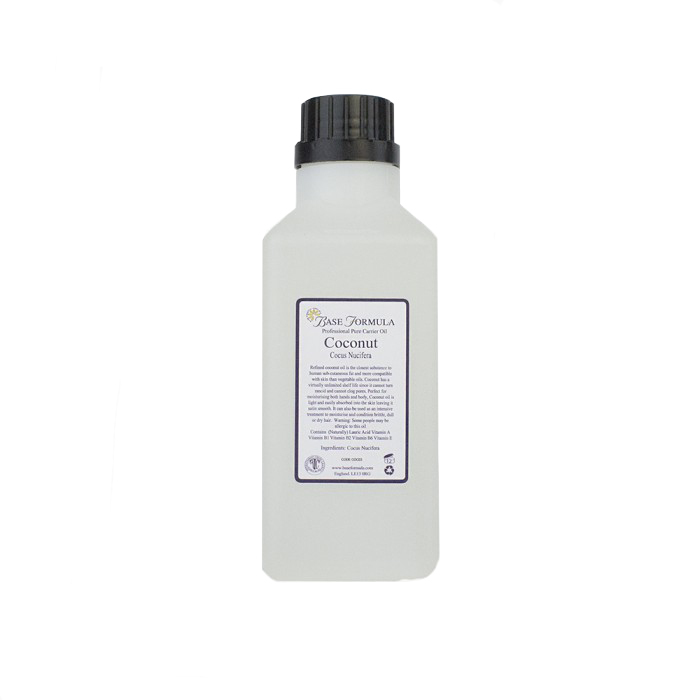 This high slippage makes it ideal for massaging over dense hair (backs and arms on some men) and over areas of particularly dry skin (front of shins on some elderly clients). Professional Tip: Coconut Oil is unsuitable for relaxing and deeper, therapeutic sports massage as it is virtually impossible to maintain contact with and manipulate the muscles. It is however much more suited to stimulating and sensual massage because of the slippage. 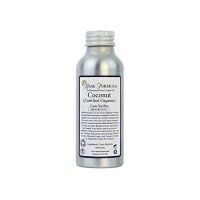 Note: Coconut Oil should never be used on the bottom of the feet due to the high level of slippage.